Developers delivered 37 buildings in 2017 that were 200,000 square feet or larger totaling nearly 20 million square feet. 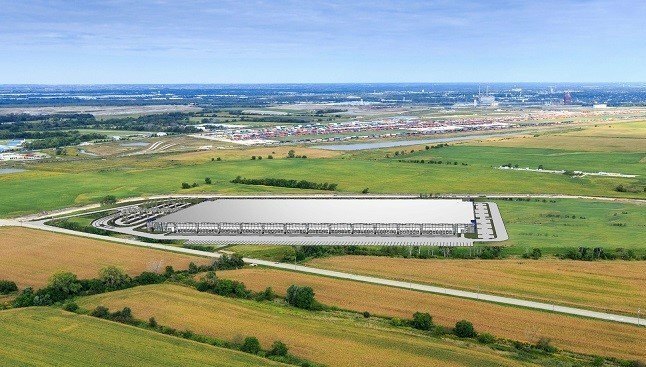 A 751K spec recently built at CenterPoint’s intermodal complex in Joliet, IL. CHICAGO—The vacancy rate for big box industrial buildings in the Chicago metro area increased 244 bps during the course of 2017 to 9.64%, according to a year-end report by Colliers International. But that does not seem to worry experts very much. That’s almost certainly the case with Chicago. Local big box developers set a record in 2017 by delivering 37 buildings 200,000 square feet or larger totaling nearly 20 million square feet. This is the greatest amount of big box space ever completed in the region during a calendar year and a 13.76% increase over the 17.5 million square feet completed in 2016. Four of the projects delivered are one million square feet or larger. Regnery’s optimism stems from the robust demand for new distribution and warehouse space. “On the demand side, there is just a tremendous tailwind,” largely from the rise of e-commerce and a wide variety of firms’ subsequent need to transform their distribution infrastructure. The old method of delivering goods in bulk to retail outlets is no longer sufficient. Companies, whether through their own efforts or with the help of a 3PL, also need a method for quickly sorting and shipping huge numbers of individual items directly to consumers. That means buildings with greater heights, even up to 40’ clear, more truck spaces, more car parking, and other features. And many buildings finished just 15 years ago are considered obsolete.